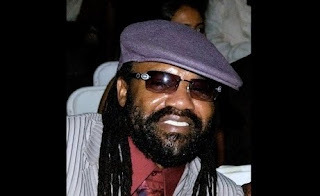 Tony Rebel went to the 29th International Reggae and World Music Awards (IRWMA), held on May 2 in New York, in three roles. He was co-host along with Alison Hinds, a performer and, as head of Flames Productions, had a keen eye on Queen Ifrica's multiple nominations. Rebel was surprised, then, when he was backstage while some speeches were being made and heard his name announced. It was not the first time that night, as earlier his Rebel Salute festival had received the Best Show Award and he had duly thanked all the fans who had attended the event. But this time, it was for something that had simply not been on the cards. It was a Proclamation from the State of New York, signed by New York State Senate Majority Leader, Pedro Espada Jr. It read, in part, "Whereas it is only fitting to pay tribute to those individuals of historic and artistic significance, whose creative talents have contributed to the cultural enrichment of our communities and our nation; and ... Whereas Tony Rebel sings a peaceful, roots-oriented form of dancehall music designed to inspire his audience to take a more positive approach to life and social change; and whereas, born Patrick Barrett, Tony Rebel is a Rastafarian, but rather than simply creating serious, philosophical tunes, he infuses his music with a light-hearted, liberal-leaning dose of humour..."
And it pronounced, "Proclaimed, it is with just cause and true purpose that I am pleased to pay tribute to Tony Rebel..."
Rebel said it was read by a delegate from the Lower House and, in his reply, he expressed his gratitude. He said it was good that he has been doing only clean and good songs, as that is what he was being honoured for. "They don't just do it suh. They know what they know. They research you," Rebel said. He first performed in 1991 at Act III, when he had Armour, Fresh Vegetable, Sweet Jamaica and Hush, among others. Over the years since, he has performed at Madison Square Garden, BB King Blues Club, The Ritz and New York Coliseum (now demolished). Along with Queen Latifah, he performed at several venues where there was mostly a white audience. "I have a serious fan base in New York," Rebel said. "We give thanks there are people who are looking at the industry as an industry, and find people they can honour," Rebel said. "We are in an industry that most times people think nothing is happening and it is down. What some people are doing, they do not give credence to the other side of the music. It goes to show that if you are doing something good and consistent people will see." He does not take solo credit, saying "As fragmented as the industry is, it is what has propelled me to where I am now". He named producers Fattis, Mikie Bennett, Bobby Digital and Donovan Germaine as persons who have produced songs for which he has become known. The mention of "a light-hearted, liberal dose of humour" was notable, and Rebel said, "From the beginning I have always tried to find something - lyrically lubricant - to get the thing across a little quicker. Also, I am a fun person. My motive is about happiness and sharing that with the rest of the world. My forum is music, to channel that to the people". The 29th IRWMA was dedicated to health awareness, which dovetails with Rebel's way of life. "When I am onstage I try to give healthy advice," he said. "They have been listening to me all this time, trying to give advice as much as I can." One of his songs invites "come ketch the Ras in the kitchen", while another prescribes raw food and green juices. "In interviews, I always try to share what I know. Food is in your life, life must be in your food," he said. While Rebel would not speculate on what position of respect the Proclamation has put him in, he said, "It is really a sense of honour when people say they are giving you an honour, not just because of the music you do, but the kind of music you do". "I don't know if that will tell the Jamaica Tourist Board to give me some good money to keep Rebel Salute and get some sponsors to come in and partner with and say come on, let us keep a good show."